Its true. It is love at first bite. I already miss it. Thinking about it all the time. Planning when I am going to go back. I am in love. 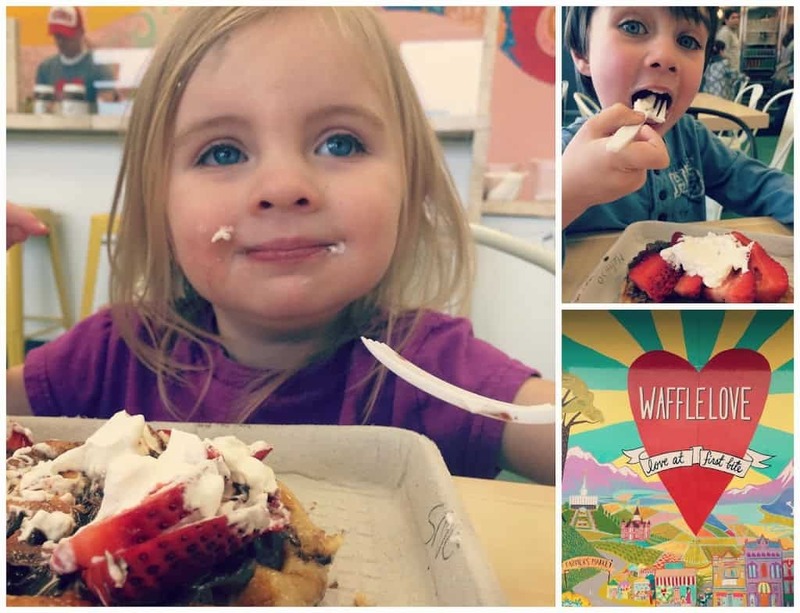 If you have a chance to go to Waffle Love, go. As fast as you can. You won’t regret it. Did I mention that I am in love? So Waffle Love waffles are different than your typical waffles. They are Liege Waffles. Not sure what exactly this means, but basically they are made with a dough instead of a batter and the dough is coated in sugar pieces so that it can caramelize on the waffle iron. You can eat your Liege Waffle plain or top it with a choice nutella, Biscoff, Cream, Strawberries, Bananas, Peaches, or Raspberries. 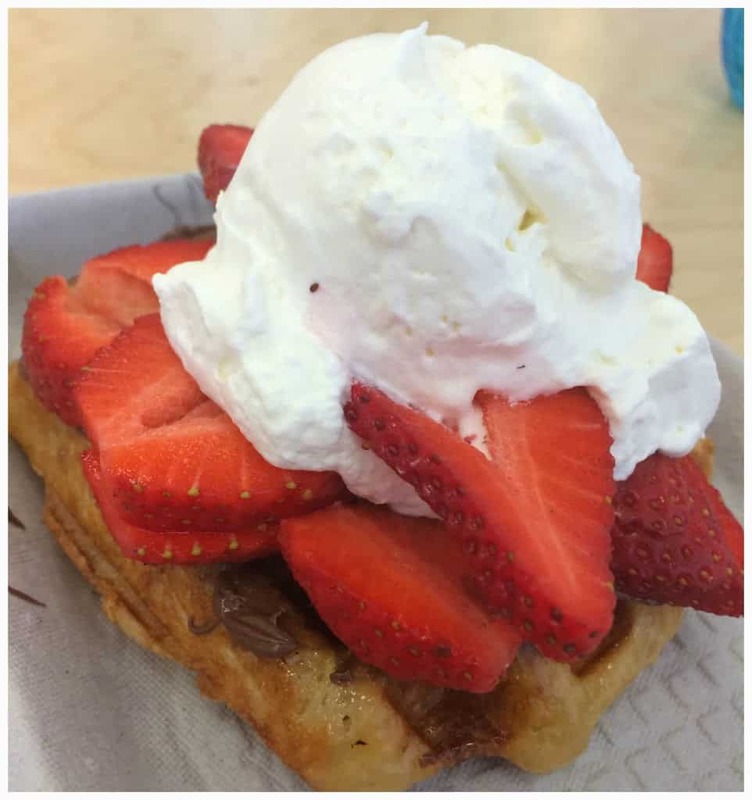 We chose the “Nutella Love” specialty waffle which has Nutella, Strawberries and Cream. I. love. Nutella. Love. I think it is safe to say that my kids loved it too! 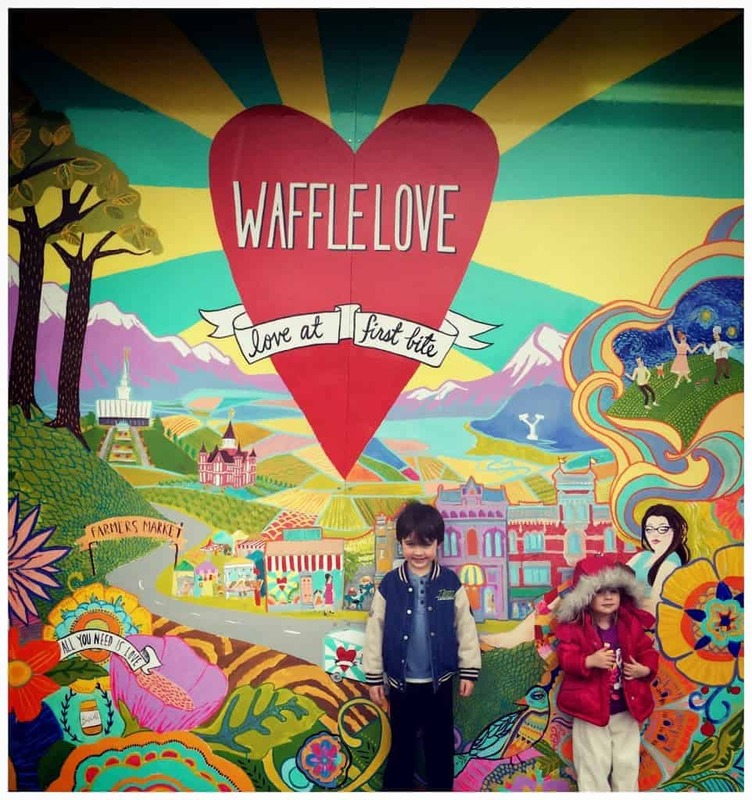 Waffle love has a store front in Provo, Utah as well as three Waffle Trucks. Two in Utah and One in Arizona. For more information about their deliciousness, you can visit them online at http://www.waffluv.com/.